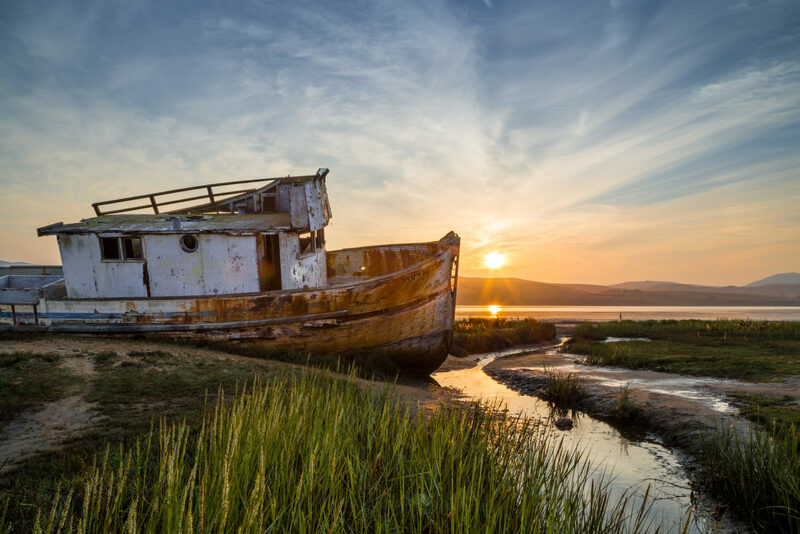 Behind the tiny Inverness Store at Point Reyes National Seashore lies an often photographed shipwreck on the shores of Tomales Bay. Looking back, I'm glad to have gotten a series of photographs of the ship; shortly after, vandals badly burned this old relic. This was taken at sunrise during a smoky fire season.